Bremen - Borussia Mönchengladbach are hoping to bring the Matchday 3 curtain down with a bang on Sunday afternoon when they travel to SV Werder Bremen (kick-off 17:30 CEST / 15:30 GMT) in the final fixture of the weekend. 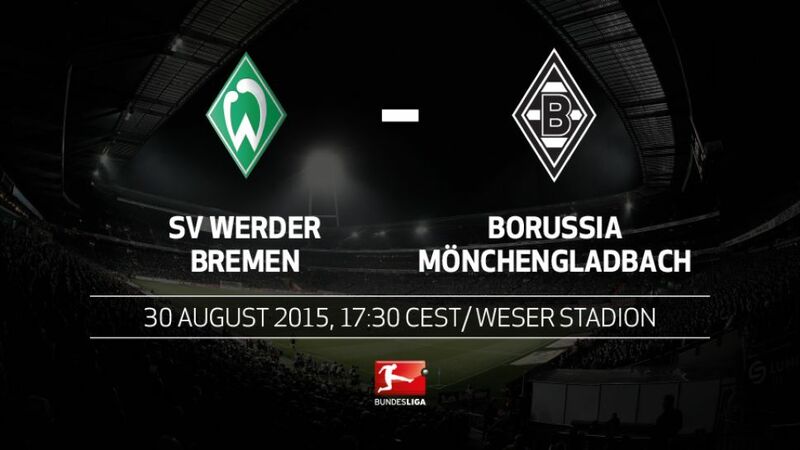 Bremen and Gladbach have had 24 and 20 shots on goal respectively this season, but both have only scored once. Bremen have failed to win any of their last five Bundesliga games – the longest drought of coach Viktor Skripnik’s reign. On 19 November 2011 Lucien Favre celebrated his biggest ever win as a Bundesliga coach when Gladbach beat Werder 5-0. At least two goals have been scored in each of the last 24 matches between these sides. There has not been a goalless draw in this fixture so far this century. Raffael has so far played against Bremen three times for Gladbach and has scored in every game, netting a total of four goals. Bremen sporting director Thomas Eichen made 180 Bundesliga appearances for Gladbach.